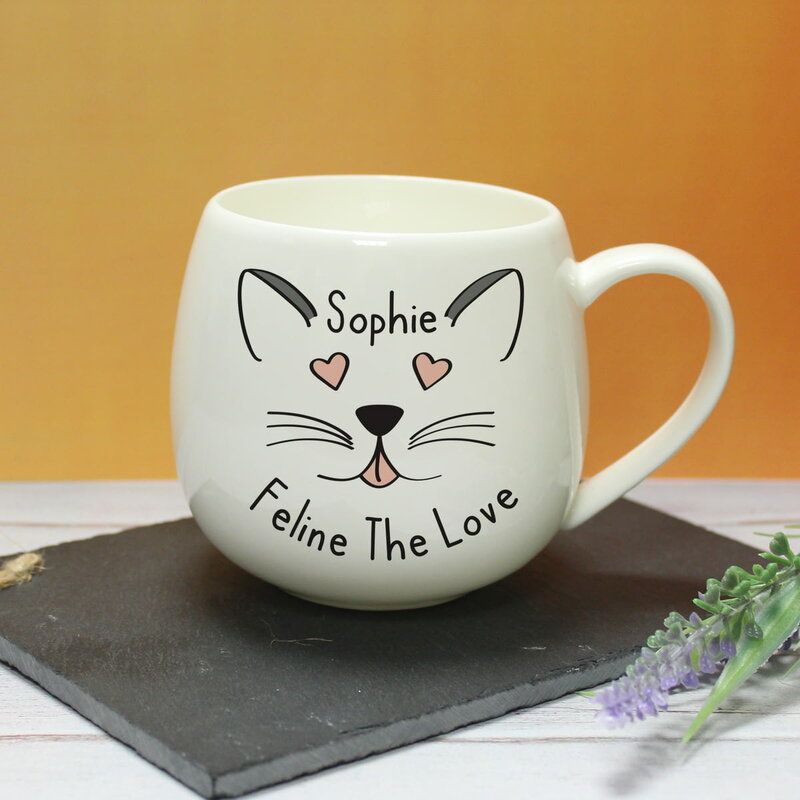 Add a name of up to 15 characters above the fixed text 'Feline The Love'. The 11oz white mug is 9cm tall, 11cm wide (including handle) and 8cm diameter. An adorable puppy snuggling up to a heart-shaped cushion. A sweet picture for any dog lover, with their name embedded onto the cushion. 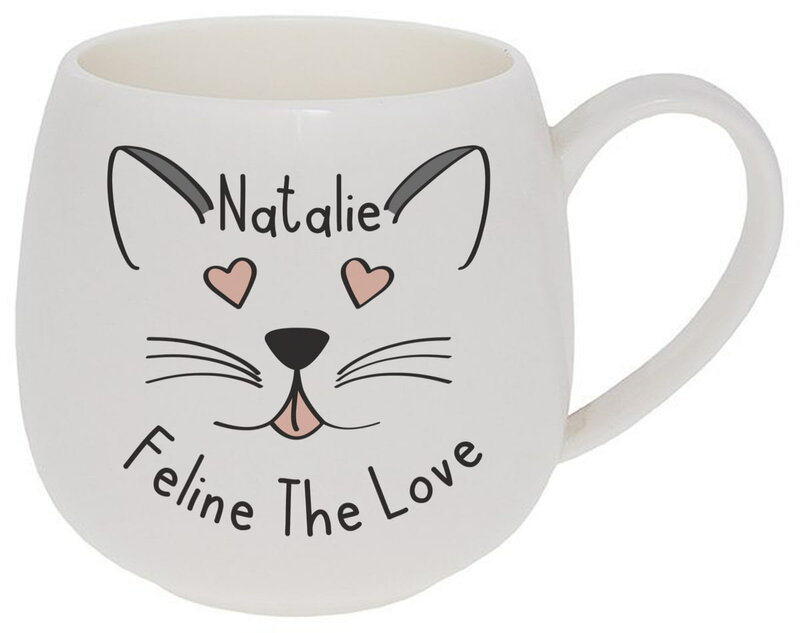 Make your feelings known by personalising this 'I Really Love' mug. You can choose someone's name, a place, an activity, a pet - whatever's your passion. Is it puppy love? Show your loved one how much they mean to you this Valentines Day with this pink heart design featuring Gromit and Fluffles.